Not surprisingly, there have been many attempts to improve player safety. One of the most promising of these has been to imitate some of the techniques of football’s estranged older brother, rugby. Popular throughout much of the rest of the world, and growing fast in America, the game of rugby has much in common with football. 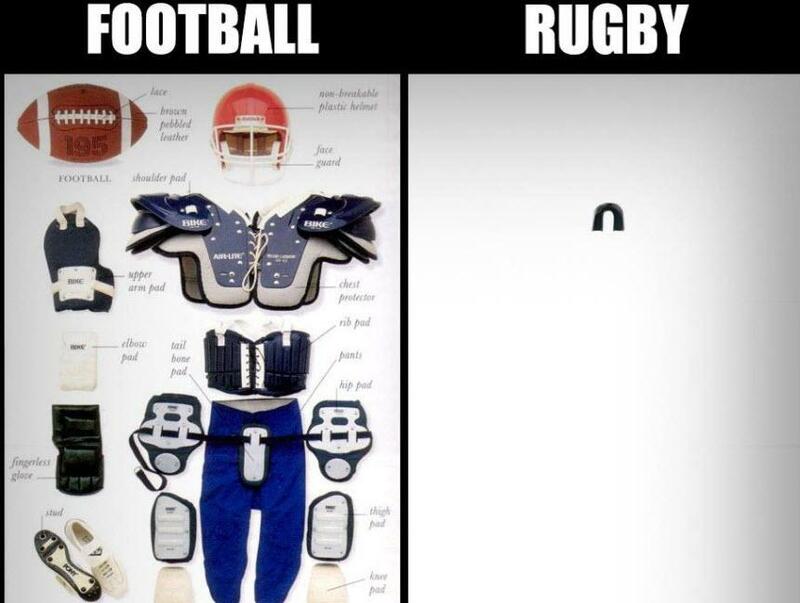 For fans accustomed to football though, there is one striking difference — rugby players don’t wear helmets. With the level of contact just as high in rugby, and the players wearing no protective gear, you would expect the concussion problem to be much worse. Yet the prevalence of brain injuries in rugby is much lower. Many experts believe this is because with no helmets for protection rugby players use tackling techniques designed to protect their heads. Seahawks coach Pete Carroll even detailed the rugby approach to tackling in an instructional video in an attempt to promote player safety. This approach has caught on, especially with younger players; many high school coaches now teach the safer rugby tackle. The above example of helmets causing players to act in a way that may actually reduce their safety is a great example of what is known as the Peltzman Effect, named for University of Chicago professor Sam Peltzman, and his research into auto safety regulation. He found that the moderate gains in saving auto-occupant lives through safety requirements were more than offset by increased pedestrian deaths and a higher overall accident rate. The theory behind his findings was that safety devices tended to make drivers feel safer and actually drive more dangerously, therefore making them mandatory may actually reduce not improve safety. Seatbelts were a prime example; Peltzman found that even though seatbelts reduced the fatality rate of auto accidents for the people in the car, the total number of accidents increased, causing more pedestrians to die and more non-fatal accidents. This theory has many interesting implications; one economist even suggested the roads might be safer if we replaced airbags with a six-inch dagger, wouldn’t most people react by driving much more cautiously? But additional safety is obviously not always a bad thing; I’m quite fond of my anti-lock brakes, and Tom Brady is probably better off wearing his helmet this weekend. The key is that the Peltzman Effect is a mechanism that demonstrates how increased perception of safety can increase our willingness to engage in risky behavior, whether or not the increased safety is offset by the new behavior will vary. It isn’t even all that clear whether rugby is really that much safer than football. There may be less head injuries, but spinal injuries are more common. Plus, the comparison itself isn’t exactly fair, with rugby only reluctantly becoming a professional sport in 1995, and significantly less top-level game time preceding this period for injuries to develop. This is essentially what makes safety regulation so problematic. No government regulator can ever be sure that the new device or rule they are trying to impose will have a positive effect on safety. This means the gross benefit of any proposed safety regulation is questionable even before considerations of cost and calculating a net benefit. The art of economics consists in looking not merely at the intermediate but at the longer effects of any act or policy; it consists in tracing the consequences of that policy not merely for one group but for all groups.